Daily Debate: Which Character Had The Best English Voice Acting in Breath of the Wild? Voice acting has been a hot button issue for the Zelda series for years. For years, The Legend of Zelda used text boxes to transmit information and speech, along with grunts, laughs, and other short expressions of emotion. 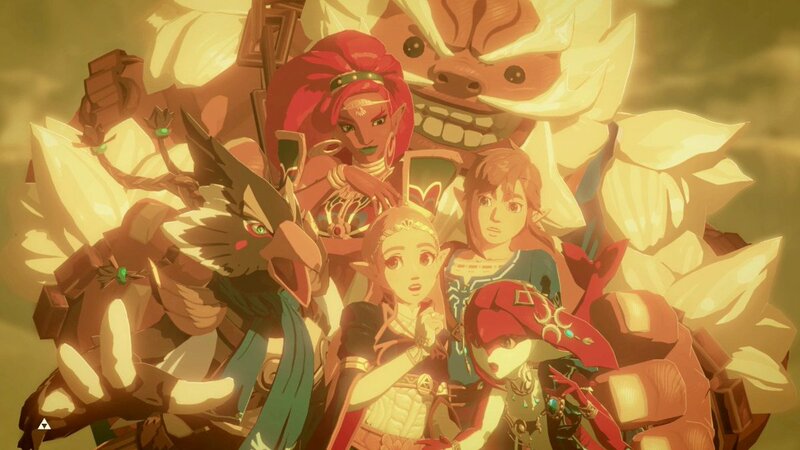 When Breath of the Wild announced the use of voice acting for significant characters like Zelda, it was a decision that divided Zelda fans. With the game out, hundreds of articles and forum threads have been devoted to the topic of whether the voice acting did the series and characters justice. Many fans have imagined the voices of characters like Zelda and Impa for years, developing a distinct sound for them within our own heads. For me, it was exciting to hear these voices in Breath of the Wild for the first time ever. While I may not always agree with the use of voice acting, or the interpretation of the character, no one can deny that voice acting was a big step, and I loved hearing the voices for the first time. Each character in the game is unique and special; none of their voices sound the same. Daruk has a gravelly voice, while Revali’s voice is sly and sarcastic. The voice acting in the game can really shape whether we like or dislike a character, so thinking about what voice each character was given is important! For me, I think Urbosa’s voice acting truly embodies her character. Urbosa is a strong, intelligent warrior, and the voice did her justice, exuding strength, confidence, and an impressive level of thoughtfulness. Which character did you think had the best English voice acting in Breath of the Wild? Let us know in the comments below!